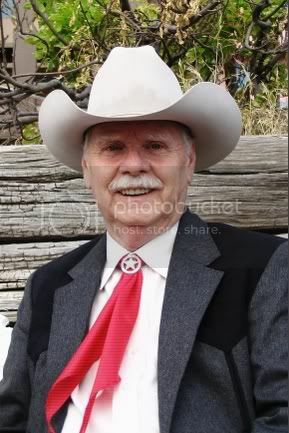 I first met Terry on the ACFW members' loop, and we quickly became friends. Then I was privileged to give endoresements for a couple of his books. On the featured book, the publisher even used my endorsement on the cover. When I was young, I read Louis L'Amour, and I really enjoy a good, clean western. Terry writes them with a fresh voice. Terry, tell us how much of yourself you write into your characters. We can't help but write ourselves into our characters. Even when we're trying to do otherwise we see the character that we're trying to write through the eyes of our own memories and experiences. To write someone far from what we perceive as our own nature we either delve into our dark side, the place we never go, or we take things from our good nature and see what would happen if we reverse them. I believe if we aren't writing out of our own emotions and experience the danger is great of it taking on the tone of an impartial observer. I used to put on the West of the Pecos Rodeo. When I climbed on the back of a 2000 pound Brahma bull in response to a bet with the stock producer it was either the quirkiest or the dumbest thing I ever did. I don't want to call you dumb, Terry, but I wouldn't call that the smartest thing you've every done. When did you first discover that you were a writer? I've written all my life. I was first published while in high school, but in 27 years of chamber of commerce work, it pretty much ate up all of my words. It was only ten years or so ago that I was able to start writing what I really wanted to write. I've loved westerns since I was a kid so it was natural for me to start writing them. 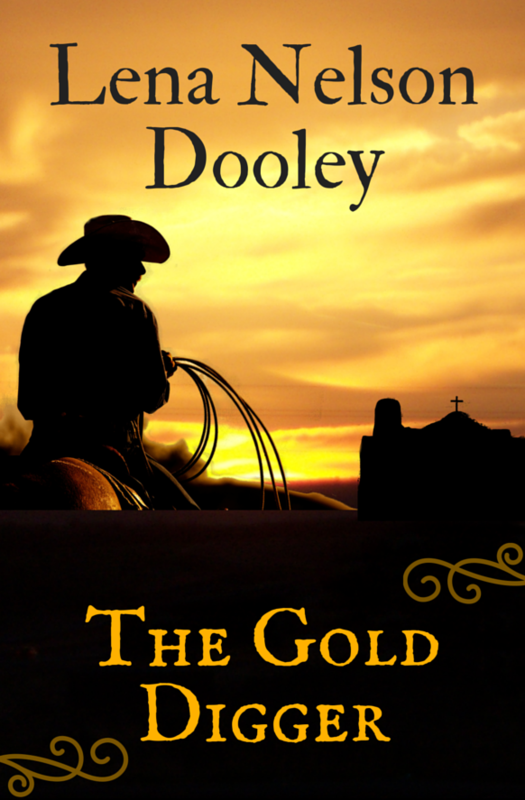 Since I have very strong faith and wanted it to show in my writing I turned to inspirational, not so much westerns as inspirational stories set in the late 1800's. I also write in other areas and genres and I try to read whatever I'm trying to write at the time. I don't read much literary fiction because I don't have the patience for it. Mostly I want to read something that will hold my interest because if I lose interest and put a book down the chances are I won't pick it up again. I also want to read something that will stir emotions in me, laugh, cry, anger, sadness; just make me feel something real. 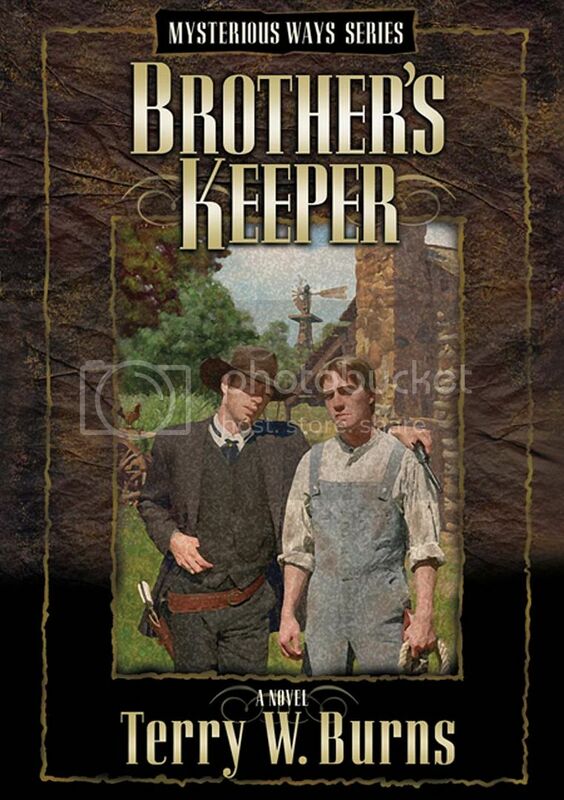 Brothers Keeper is the second book of a three book series from River Oak. The first title, Mysterious Ways came out last year, and the third, The Shepherd's Son will be out in September. Trails of the Dime Novel is a YA book from Echelon Press. I have two books from The Fiction Works, To Keep a Promise, and Don't I know You? I have stories in a half dozen short story collections, a small self published book of cowboy poetry entitled Cowboys Don't Read Poetry, and four nonfiction titles that are now out of print. Toss in one audiobook of the Dime Novel and it gives me 18 publication credits of one venue or another. I've also done over 200 articles and short stories, written a newspaper column for 17 years, and serve on the editorial board of a national business publication. That's quite a list of accomplishments. How do you keep your sanity in our run, run, run world? Earlier in my life I'm not sure I did keep my sanity. Now it's easy, I don't run, run, run. I've reached a point in my life where I do things as I get to them and I don't worry about what's on my to do list until I get down to it. That's the essence of life, you know, working down our list. It's an endless task because the list is eternal. Even when we cash in our chips, somebody has to finish what's left of our list, along with the task of planting us, but the list goes on. Wise words. How do you choose your characters’ names? I can't ever remember choosing a character's name. Once I start visualizing them and figuring out who they are, the names just come to me. It's as if they tell them to me. I have misunderstood them before and put another handle on them. I had to go back and change it when I discovered it was wrong and they didn't seem to be answering to it. I have had characters refuse to accept the name I gave them, too. What is the accomplishment that you are most proud of? Raising two fine kids, they're the center of my life. 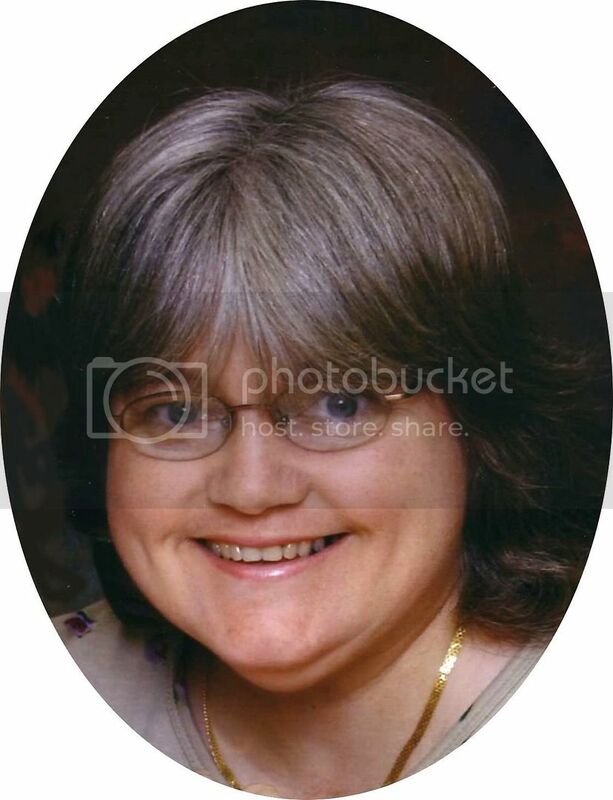 Saundra and I have 5 together now and expecting a call any minute now to go attend the birth of our 10th grandchild while planning to attend the wedding of our oldest granddaughter in November. But if you're asking about something writing related it would have to be that small number of letters that I've gotten saying some of my writing had profoundly impacted somebody's life or their walk of faith. 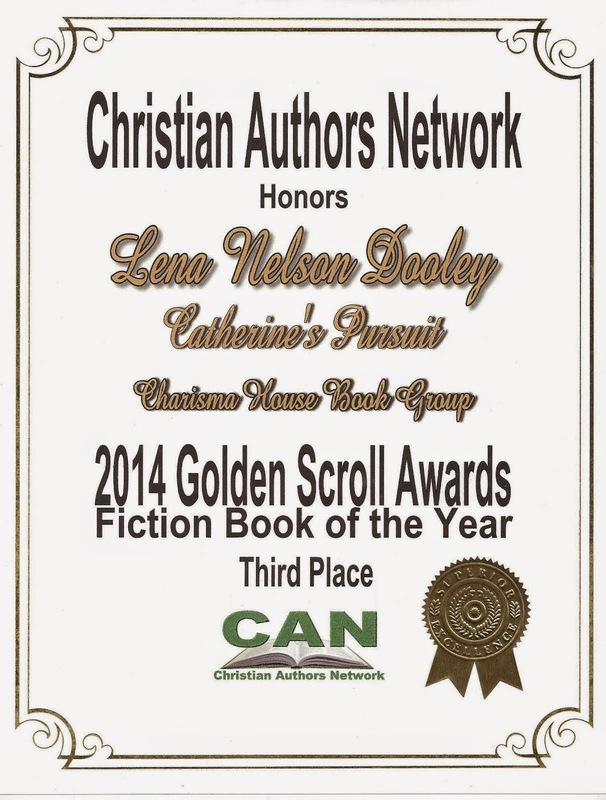 Success in writing for a secular writer is usually quantified in number of sales, or in awards the books has won. Those are nice, but for a Christian writer if they only sold one book and it affected someone's life they'd consider themselves a success. I have one lady who has bought over 30 copies of Mysterious Ways to give to unsaved friends, and a couple of prison inmates who said the same books had sent them down a different path. Whatever else may or may not happen with my writing, I believe those responses are the reason God called me to write, regardless what else may be in store for me in the future. Let's move on to something a little more fun. If you were an animal, which one would you be, and why? I had a good friend growing up that was a full blood Navajo. His father was a tracklayer for the Santa Fe railroad. We became blood brothers at an early age and though we long ago lost track of each other I still think of him often. Part of the ceremony his father did everybody is familiar with, the mingling of blood, but it also entailed giving me a spirit animal. I wanted something like a lion or bear or something neat like that, but I was given the mockingbird. He said it was because I sang a bright happy song of an endless variety. I later decided he was talking about my stories, and I hope I'll always be able to tell stories people enjoy with that happy variety. I love that story. What is your favorite food? No contest, Bluebell ice cream. A man after my own heart. One of my sons-in-law used to work for Blue Bell. He kept my freezer stocked. They have lots of wonderful flavors, but their Homemade Vanilla can't be beat. Thank you for sharing with us, Terry. I look forward to seeing you and Saundra at the ACFW national convention in Dalls in September. 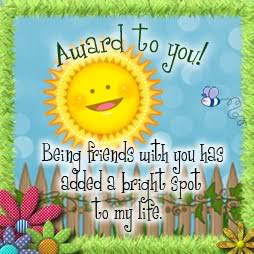 Shauna Sturge, Michelle, and Britney Keys need to contact me with a mailing address at safe-ldwrites@flash.net. We'll get those books in the mail right away. 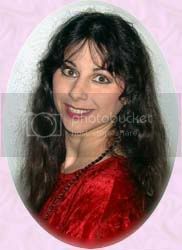 I first met Susan in Kansas City at the first national conference for American Christian Romance Writers. Of course, we had been online friends before that. She's a warm, funny lady, who is a wonderful author. I'm glad to call her my friend. 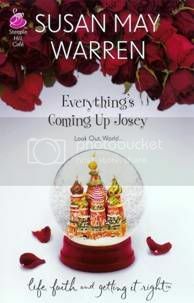 We will be giving away a free copy of Everything's Coming Up Josey. Be sure to leave a comment for your chance to win this book. I've read it, and it is delightful. Since I've been in third world countries, I especially like the sense of setting that is so much a part of Susan's books. I think, in order for the characters to be real, they have to have a touch of myself in them…whether it’s their dreams or spiritual angst, or fears…I try and find something I relate to and impart them into the characters so there is real emotion, real responses. The closest character I’ve found to myself, however, however, is Josey Berglund, from my new book, Everything’s Coming up Josey. She’s a Minnesota girl who goes to Moscow for a year to teach English. I used so many of my personal missionary experiences in the book, it’s probably the closest thing to an autobiography that I’ll get! I can’t remember the last time I did a quirky thing…I mean, I do “Susie” things all the time…like redo my daughter’s bedroom while she’s gone for the weekend. Or go into town in my pajamas…but really, that’s not quirky, right? I think I realized that writing would be a big part of my life when I was a teenager…but I never considered myself a writer until I started writing novels. Until that time, I was a “missionary who writes.” Sometimes, it’s still hard to believe that I’m a writer…I just don’t have that sort of “artist” aura about me. I think I’m more of a storyteller. That's interesting, Susie. I think of myself as more of a storyteller, too. Tell us the range of the kinds of books you enjoy reading. I love Romantic Suspense (and thus, that is what I write) and I really enjoy Chick Lit (again, what I write). I don’t read for pleasure much anymore, however…it’s not that I don’t want to, it’s that I’m constantly trying to learn to be a better writer. And I get that by reading and thinking and applying it to my own writing. 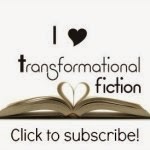 Well, I’ve written in nearly every genre…Historical Fiction (Letters to the Enemy, the Heirs of Anton), Romance (The Deep Haven series, The House Love Built, Chance Encounters of the Heart), Romantic Suspense (Team Hope), Thrillers (In Sheep’s Clothing), Chick Lit (Josey), and Mystery (Novel Crimes). I haven’t written straight “women’s fiction” yet…*grin* And I don’t think Fantasy is in my future. My brain doesn’t wrap around dwarfs and elves (unless they look like Orlando, of course). Sanity, what’s that? *grin* I think it is constant evaluation and knowing that this is the only life we have…we need to live it well, and enjoy it. So, some things just aren’t as important as others. Well, now that I have used all my kids names, my siblings names, my friends names and my in-laws names, I am having to make them up. *grin* I usually find their strongest characteristic and go to a baby name site and see what matches. OR, I’ll find an actor or character on television who embodies that characteristic and morph that name somehow. Just depends on the story and the setting. My four kids. Although that’s not an “accomplishment” so much, I do prioritize being a mother, and the fact that they all love Jesus and are developing into people of character brings me the most joy. I’d be a male lion. I’d get all the girls, they’d hunt for me, I’d look really good, and I’d get to roar and people would just say, Oh, she’s a lion, that’s normal. Kraft Macaroni and Cheese. I know I’m 8 years old inside, but seriously, it’s my comfort food. It’s funny and authentic and has a message of hope. I hope the reader will come away with a sense that no matter where you are, God has a purpose for your life. Embrace it. Michelle just won. . .
. . .Lynn Coleman's book, Fighting for Bread and Roses. Please contace me with your mailing address. Today’s interview is a fun one. 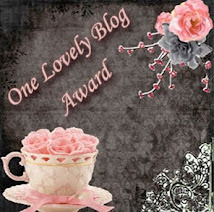 It’s a first for my blog—a group interview. I was privileged to be part of a novella team, and our book released this month. Windswept Weddings. We will be giving away several copies of the book, so please leave a comment at the end of the interview. The winners will be chosen on June 24, so you will have two weeks to leave a comment and tell your friends to visit the site. I’ve known Pamela Griffin since way before she was published. The Lord brought her into my life and allowed me to mentor her. This is the first publishing endeavor we’ve done together and I thoroughly enjoyed working with her. 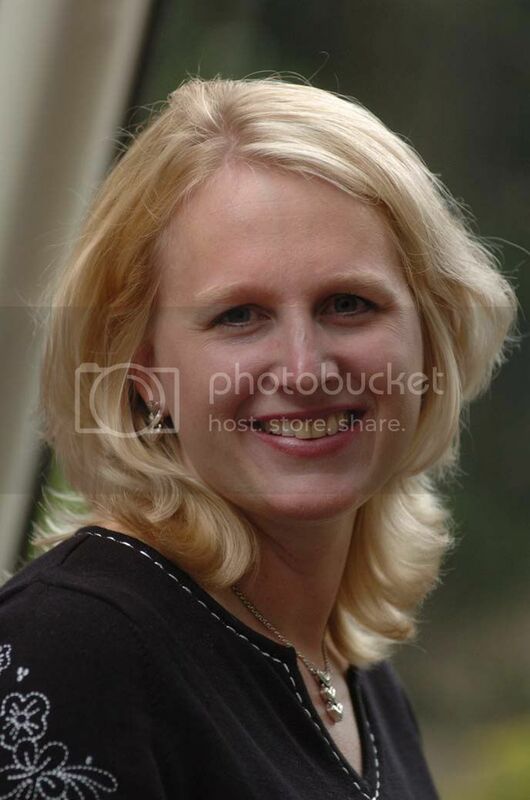 Rachel Hauck, a former president of ACFW, is the next member of the team. I believe the original idea came from her, and this is her first published novella collection. She has had several full-length novels published with more contracted. The collection introduces Lynette Sowell to the reading world. What an honor to be a part of that! How did your story for Windswept Weddings come about? Rachel: The whole idea of natural disasters impacting a wedding came after my husband and I endured two hurricanes, Francis and Jeanne in 2004. My neighbor had to close her bridal shop, and I thought of all the central Florida weddings planned for those hurricane weekends and wondered how the couple managed. Because of facility damage, I knew many couples would have to change to a small venue or simply wait six months more to get married. I thought it would be fun to have the hero and heroine overcome nature with the power of their love. Lynette: When Rachel approached me with the concept for the anthology, I knew I wanted to join. From that point it was a matter of choosing my setting and storm. I'd seen some documentaries about wildfires, and even here in Texas we've had a few, but thankfully none close to where I live. One thing I enjoyed was seeing how all four of us came up with four unique story lines. Pamela: Not sure how to answer that really. I prayed for an idea, and it came to me. Me: I had sold several books set in Minnesota, but all of them had been historical. I thought it would be fun to include a blizzard as the storm, and it would allow me to write a contemporary set in Minnesota. By the way, I have been there many times, since my father’s family settled there when they emigrated to America. Have you experienced the type of storm you wrote about? Lynette: No, and I'm grateful. I watched some documentaries and interviewed several people who'd been through similar situations. Pamela: Yes, but from a short distance away. We were in a tornado warning—sirens blaring, etc. I was praying with my kids in the hall—safest place that was in house—speaking Bible promises to boost my faith, and I remembered something a Bible teacher said at a conference I’d gone to—about how Jesus calmed the storms, and when a tornado ripped off the roof of a convention center where she was preaching years ago, she did what Jesus did—she looked up and commanded the storm to be still in Jesus’ name. It immediately went up into the sky, and I even saw the write-up/evidence about it in our newspaper at the time, showing the convention center was the last place it hit. So I went out onto the porch, with the wind and rain fierce—faced the storm and commanded it to go in Jesus’ name and not come further or harm anyone. My mom called me after I came back inside and told me they were watching the radar on TV, and the funnel made a U-turn at that time. It had been heading directly for us, only a few miles away. I’m sure it was the prayers of many that caused this to happen, but after that, my faith skyrocketed to know He is always with us and protects us, and when we seek Him and claim His words, He honors that. Me: I’ve been snowed in before, but probably not a storm of the magnitude as the one in the story. I always pray before I write, and I believe God shows me how to write the story. Rachel: A Wedding In December by Anita Shreve. 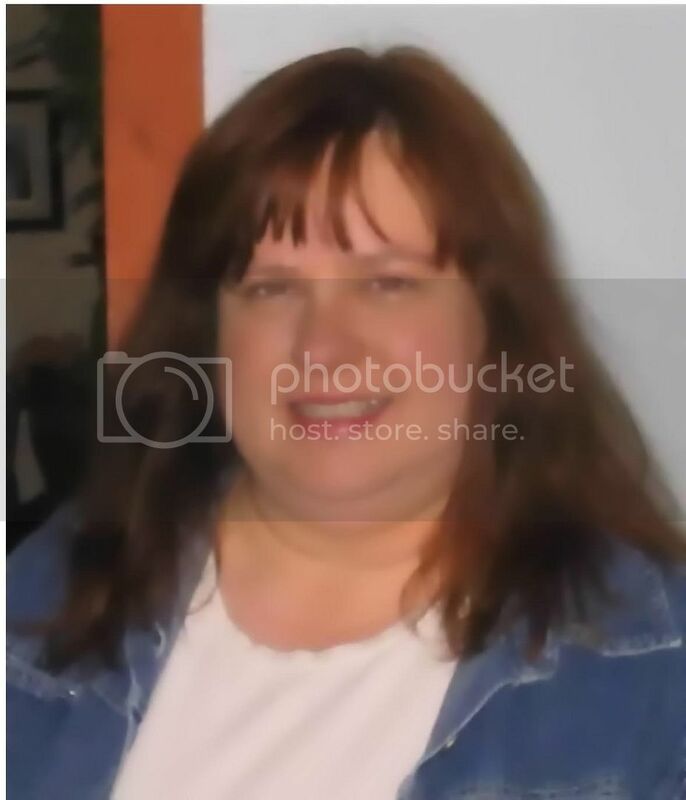 Pamela: Besides my Bible reading every day, nothing. LOL Horrible, I know, but I’m on two upcoming book deadlines, besides which my home life has a lot of major stuff happening with it right now—and I haven’t had a lot of time for reading. I have read others’ manuscripts in the works that I’ve critiqued, so that’s something. With over 3000 Christian fiction books on my shelf waiting for me, I hope to get back to reading again soon. Me: I’m reading a Love Inspired Suspense right now—Hearts On the Line by Margaret Daley. I just finished Coldwater Revival by Nancy Jo Jenkins. It really is a must read. Rachel: I’ve written several romances – Lambert’s Pride, Lambert’s Code and Lambert’s Peace, and two chick lits, Georgia On Her Mind and Lost In NashVegas. Wow, those sound like fun. Lynette: Heart's Refuge is my first published novella. This September and December, my historical novellas release in the anthologies Bayou Brides and Brothers of the Outlaw Trail. Then my first novel, A Suspicion of Strawberries, releases in March 2007 through Heartsong Presents: Mysteries. I've written four other books and at this point they'll remain unpublished, which is a good thing. There's always a learning curve and I always hope to keep learning. Rachel: I love the team of authors we gathered for this anthology, and feel honored to be named among them. But the best part of this book was when Lynette Sowell realized she’d sold her first book. I was over the top thrilled for her! Lynette: I have known Lena, Pamela, and Rachel for years, and it humbles me to be included with them in this anthology. Each of them has encouraged me in different ways. Through their help, I've learned a few more "in's" of the writing business I didn't know before. Me: For several years now, I have wanted to be in a project with Pamela, so I was thrilled when we were contracted for this collection. Besides that, I’ve loved both Rachel and Lynette for a long time. It’s always thrilling to be in a new author’s first collection. Rachel: Since I live in hurricane alley, I decided to do a little play on words and name my heroine, Allie. The hero’s name, Kyle, just came from my fingers while brainstorming ideas for the story. Lynette: I liked the way they sounded together. The names just dropped into my head, and seemed to fit the characters. Pamela: I am very much into the meaning of names, and often go by that. I have a Baby Name Book I use, which gives the meaning of the name, as well as the country from which it originated and a few other neat perks. With 30,001 names in this book, I shouldn’t run out of ideas any time soon. Me: When I’m praying for a scripture to use for the story, I also ask for names. When I was a child, there was a couple who lived in the small town where I went to school. We lived a couple of miles from town, but we knew everyone. Mother and Daddy had friends whose names were Bobby and Bobbie Brooks. I thought it would fun to be something like that. The first reviewer of my book really liked the names and the symbolism that I used to show her acceptance of what was happening. Rachel: That love overcomes. Many girls grow up wanting the perfect wedding, the perfect guy, the perfect scenario, but sometimes life and circumstances get in the way. Many times the bride and groom have a different idea of what is important. I hope the readers see that even out of differences and disaster, romance blooms. Also, to see the metaphorical love of the Bridegroom, Jesus. Lynette: I love the character of Luke, Krista's once fallen and now restored hero. He battles guilt over how he'd tossed away both his faith and his love for Krista in the past. I truly hope readers can relate to Luke and Krista. Christians can fail themselves and others, and I believe there's as much redemption for them as for a brand-new convert. Plus, finding the love of your life is only half the battle. Pamela: You know, I am amazed at how often I have an idea on just what the spiritual theme is that I use to thread through the story, but readers often write and tell me they got that AND other things from it, that inspired them and/or brought them closer in their walk with the Lord, so I think the Holy Spirit speaks to each individual, where they’re at in their own walk. With this story, it was about second chances, or even third ones--and how one shouldn’t jump to conclusions or judge by outward circumstances, but should look past that, to the heart. Me: The main spiritual theme is trusting God through the storms. I suppose there is a little bit of me in Christine. I like to plan and schedule things. Like her, I had to learn that God is more important than any of my plans or schedules. Rachel: Yes, and I am the past president. Well, I guess Rachel thought if I was asking if she is a member. I’m glad she is. That’s how I got to know and love her. Lynette: I joined when I realized I was serious about pursuing a writing career. I'd written one book and attended online chats hosted by author Lynn Coleman, and was in an online critique group. When Lynn and other authors founded (then) American Christian Romance Writers in 2000, I joined as soon as I could. My member number is 22, in fact. I credit ACFW with helping me grow as a writer and giving me opportunities I wouldn't find anywhere else. Pamela: It’s a wonderful place to be, full of helpful, encouraging people and loaded with invaluable information that aids me in my writing. The members’ only page I get especial benefit from, and the resources/research websites listed for writers there are tops! They have cut down my “hunting for info” time a lot. Me: As I stated when introducing last week’s author, Lynn Coleman, I wish I had paid more attention when Lynn discussed on a Christian Writers’ Loop about forming the organization. I didn’t join until about three months after it formed. It has given me wonderful friends all over the globe, an enormous amount of help when researching a subject, and the ability to meet and talk to editors and agents. I’m glad that when God dropped the idea into Lynn’s mind, she ran with it. Will you be at the American Christian Fiction Writers national conference in Dallas in September? Rachel: Yes I will. I hope to see all of you there! Lynette: Yes, I'm planning to be there. It's always on my September calendar. Pamela: I plan to. First I need to take care of some things in my home life, and we’ll see where it goes from there. Me: I hope to see each of you there. The conference goes on my calendar as soon as the date is chosen. It’s a budgeted item for me. I have been to all four previous national conferences and both of the Texas regional ones before that. 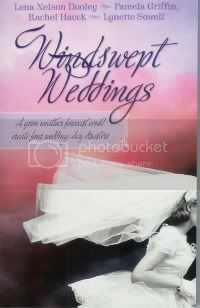 We invite you to look for our book Windswept Weddings at your local Christian bookstores. They’re also available at most Barnes & Noble stores as well as many Wal-Mart stores. Winner of Deb Raney's Book. . .
. . .is Jane. Please contact me about getting your copy of A Vow to Cherish. You have a week to contact me. Because the winner of Waiting for Summer's Return didn't send me her mailing address, I have chosen a new winner. So Ane Mulligan, you have a week to contact me with your address. Now let me introduce you to a wonderful lady. I wish I had paid more attention when she first asked on a writing loop I was on for people to join her in forming American Christian Romance Writers. I was not one of the original members, but I did join in only a few months. Of course ACRW eventually became American Christian Fiction Writers. Lynn has been an inspiration to me for years, and I love her sweet spirit. It is with great pleasure that I share this interview with you. Remember to leave a comment for a chance to win a copy of Fighting for Bread & Roses. The winner will be chosen on Saturday, June 17. Goodness, this varies from character to character and story to story. There’s always a bit of me or what I’d like to be in every character I write. However, there hasn’t been any one character that I could say is me. I like the ability to focus on others and develop their life stories over retelling mine. Hmm, with regard to writing, I’d have to say going out and purchasing items my characters would use. Unfortunately—or fortunately—this hasn’t stopped. I recently purchased a Nikon F1 film camera just because it was my character’s favorite camera. Now I’m trying to learn how to take pictures with it. I brought the camera to my dad and he showed me how to use it. Personally, I love digital cameras. But hey, I’m a techno kind of gal. Techno gal, huh? That's interesting, but I also share that love with you. When did you first discover that you were a writer? I never thought of myself as a writer when I was working on my non-fiction books and articles. I thought of myself as providing information for others in similar circumstances as myself. But once the fiction bug hit and I started working on the craft of writing fiction, then I felt the Lord calling me to be a writer. Well, I love a good mystery and suspense book. I’ll even read sci-fi if it is written well and, of course, that’s to my particular taste. 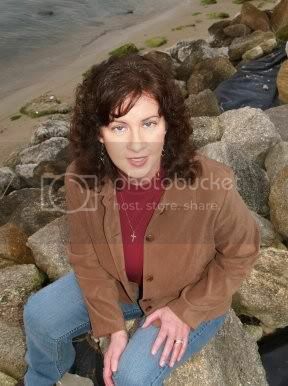 I thoroughly enjoy Christian romance novels, also. As I develop as a writer, and in particular my historical writing, I’m finding that I’m fascinated by historical documents, journals, diaries, newspapers, etc. They’re hard to get your hands on, unless you live near a historical society, but I love reading them. I worked on a two-year American history course for a publishing company, and we had access to early American books and documents. I have to admit that they fascinate me, too. Fighting for Bread & Roses is my first suspense novel. 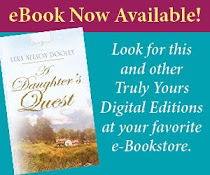 My prior books have all been with Barbour and are in the Christian romance genre. Titles starting with the first book published in Feb. 99 are: Sea Escape, A Time to Embrace, Mustering Courage, Lizzy’s Hope, Southern Treasures, One Man’s Honor, Cords of Love, Raining Fire, Lambert’s Pride, Hogtied and upcoming release this winter, A Place of Her Own. 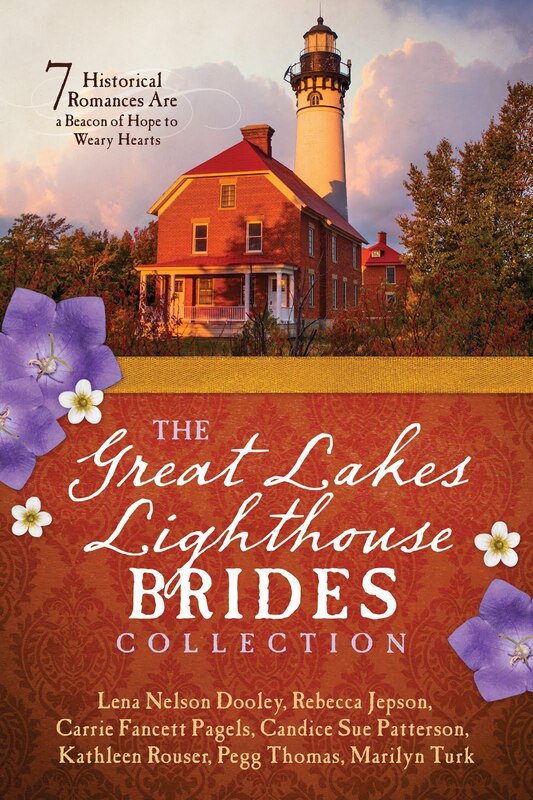 Novellas in the order printed are: When Love Awaits (in Keepers of the Light), which was recently re-titled Light House Brides. The Shoemakers Daughter (in Once Upon a Time), which was recently re-titled Fairy Tale Brides. After the Harvest (in Prairie County Fair), The Snowstorm (in A Currier & Ives Christmas), Hook, Line & Sinker (in Kentucky Keepers). Collections or repacks of some of my books include Sea Escape in a Collection called New England, and Key West, a collection of four of my novels: A Time to Embrace, Lizzy’s Hope, Southern Treasures and One Man’s Honor. Wow, that's a lot, and I've read all but a couple of them, at least in their first editions. How do you keep your sanity in our run, run, run world? Am I sane? I think life is busy no matter what your occupation or family situation, so I don’t see myself running doing this and that any more than any other person. I think the key to keeping oneself sane is to spend time with God and try to look at life and my life situations through His eyes rather than my own. After all, He knows how everything will turn out, I don’t. This is one of the fun parts of writing that I thoroughly enjoy. Once I know a little bit about the characters or the story I start by going through a baby book on names and their meanings. Lately, I’ve been looking through geneology sites for regional names during the time periods I’m writing about, if it’s a historical book. For example: in a book proposal I just sold, Corduroy Road to Love, a historical set in North Carolina in 1830, I found that the Scot Irish were one of the two immigrant lines that moved into that area. So I decided on Olin Robert Orr for the hero’s name and Ida Mae McAuley for the heroine. Both of the surnames were names on censuses during that time period in the area around Charolette, N.C.
That’s easy, my marriage, my children and grandchildren. As much as I love writing for the Lord and writing fiction, my first love and greatest responsibility is to the people He’s given me in my life to minister to. I had to put some fun questions in here, too. What is your favorite food? LOL, I have too many. Chocolate is a cure all for just about anything, but a nice juicy steak with a fresh baked potato with lots of butter, sour cream and salt and pepper with a side of fresh asparagus spears isn’t half bad either. Fighting for Bread & Roses has recently won the bronze medal in Foreword’s Book of the Year contest and is a finalist in the Christian Retailer’s book of the year awards. But apart from the awards and positive feedback I’ve received about the book, I suppose what I love the most is the protagonist, Lindsey Marc, who in several ways has pieces of me in her. Thankfully, my life is not as chaotic as Lindsey’s when I go on research trips. Thank you, Lynn, for that peek into your life. I am eagerly anticipating the next book, and I pray God's richest blessings on this work He has called you to.